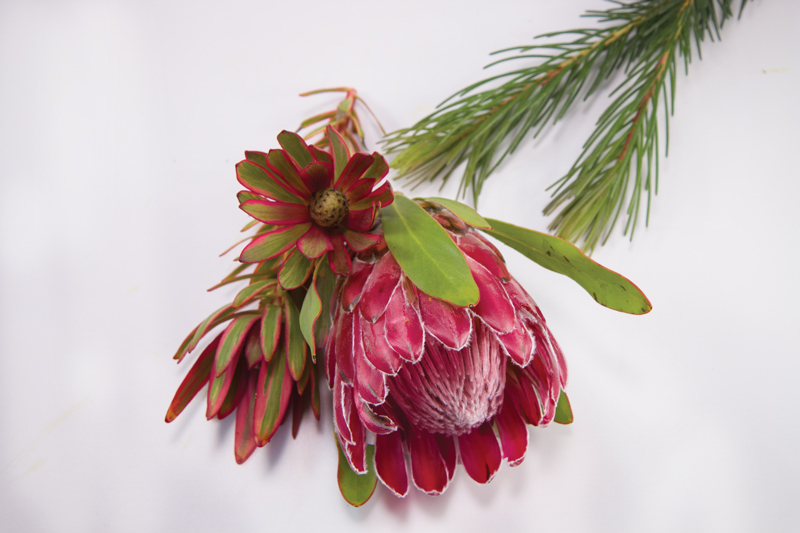 Proteas come in a variety of sizes and colors and are members of the Proteaceae family, a genus of 130 species of African shrubs. 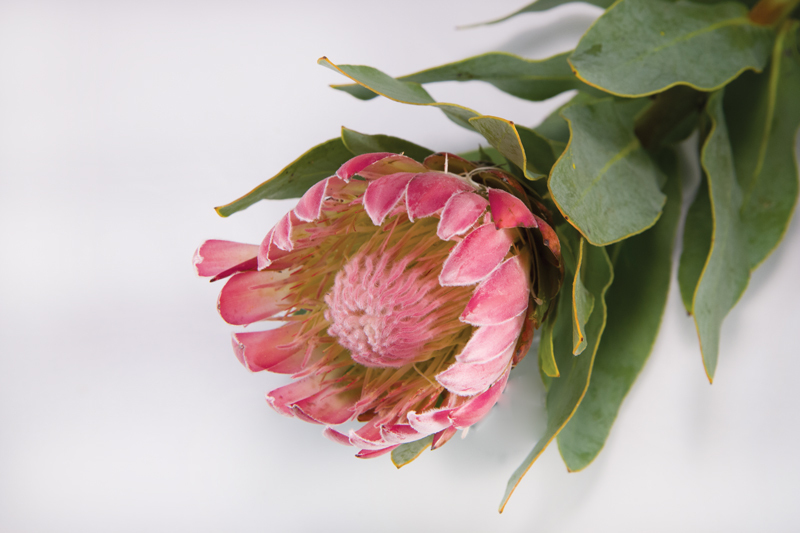 The unusual flowers are named after Proteus, the Greek sea god who had the power of prophecy and could assume various shapes. 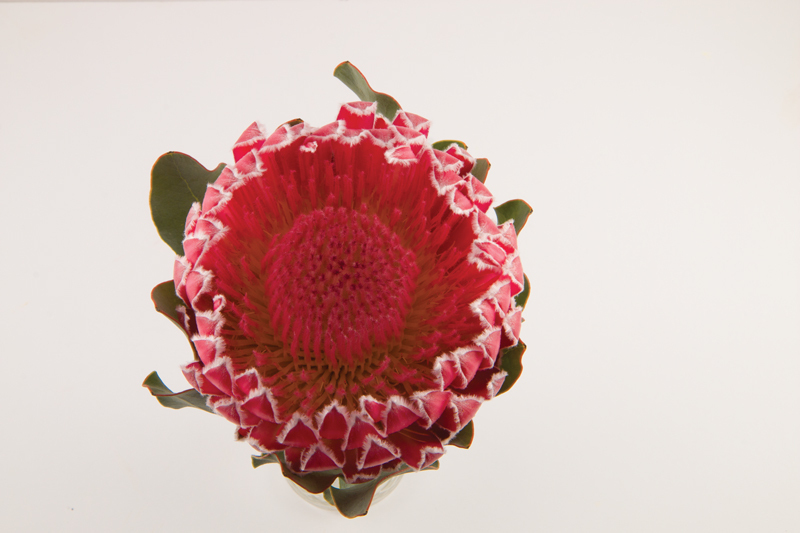 The flowers’ name, therefore, refers to the flower heads’ varied forms. 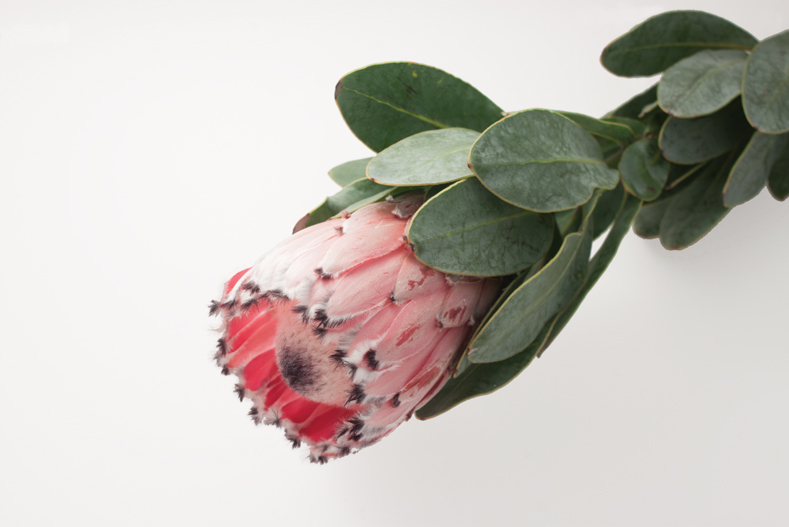 Strip leaves if you find its odor unpleasant. 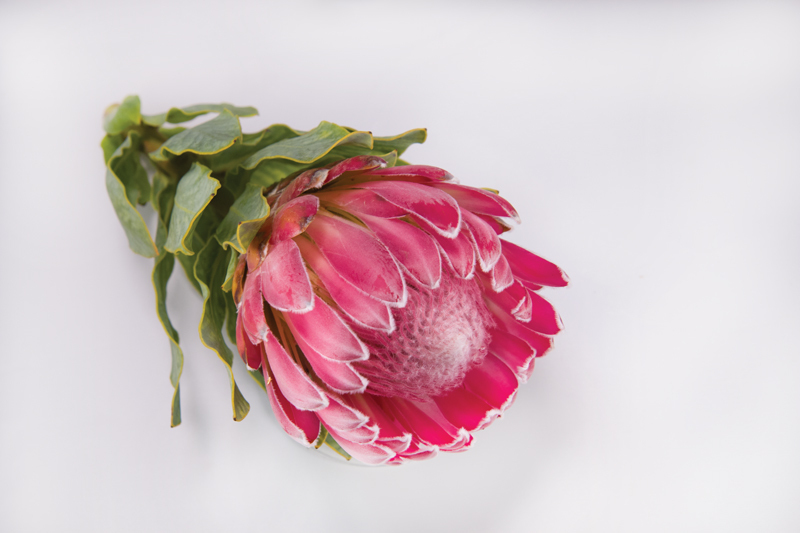 Cold sensitive. 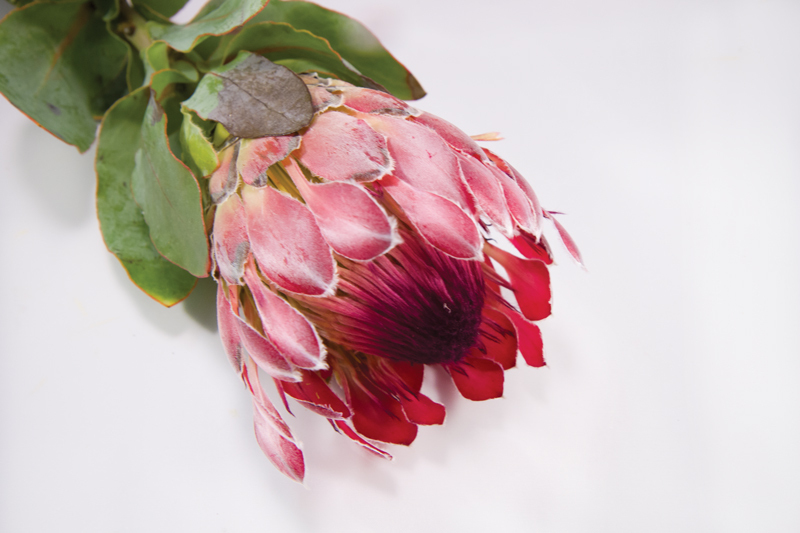 Do not store below 50 F. It is important to change water and flower food solution every 2 days to avoid leaf blackening. 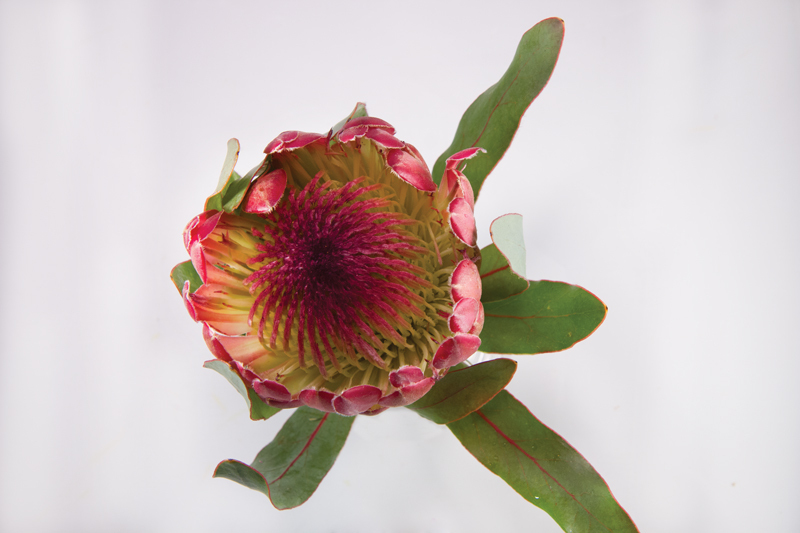 The large heads of some proteas make dramatic focal points when used in arrangements. 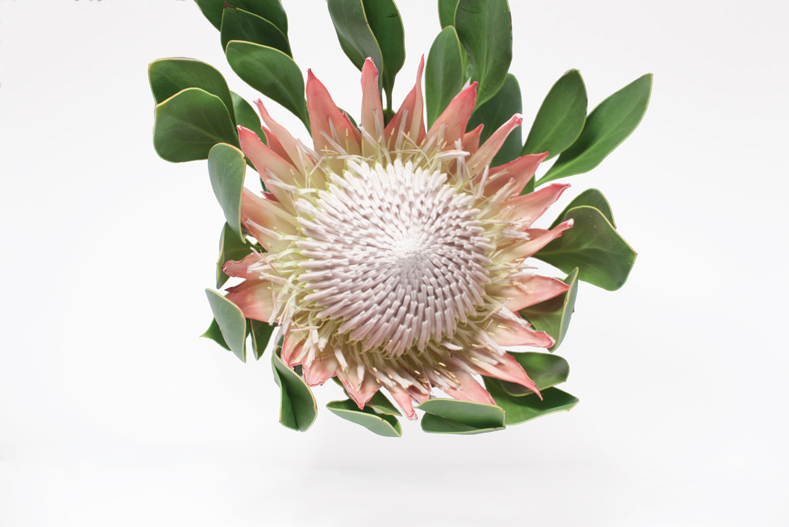 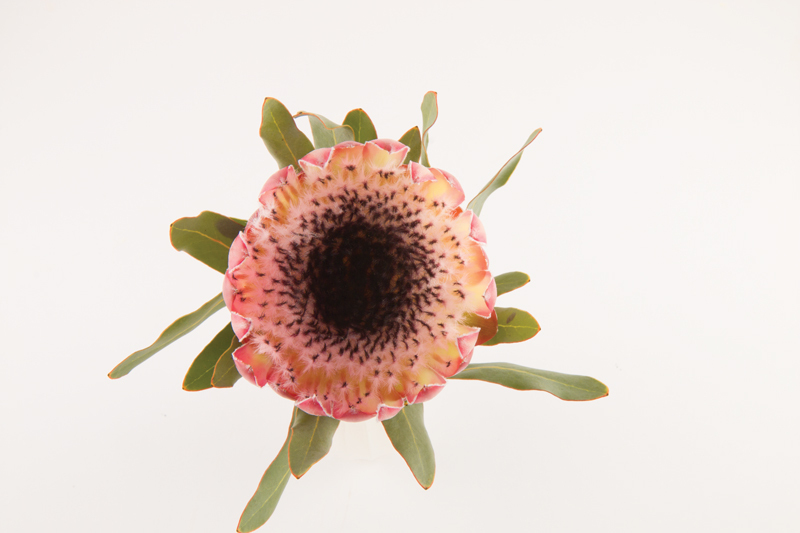 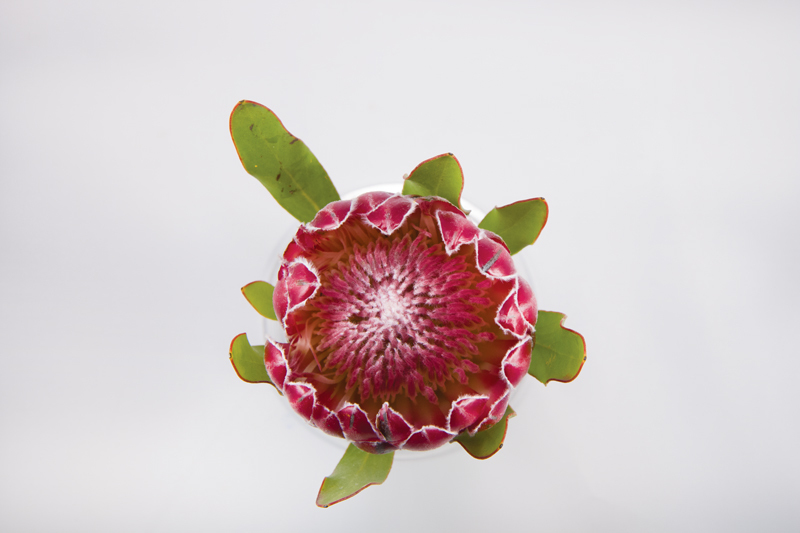 Protea’s diversity of shape and texture provide unique visual interest in contemporary design.